Bloc brings together the playfulness of the building blocks of the yesteryears combined with state of the art storage technology. 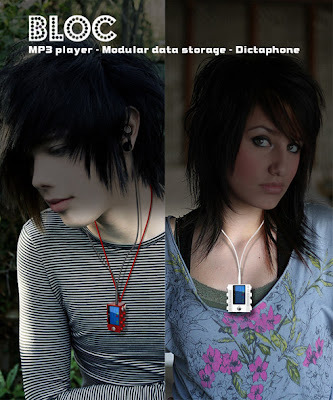 Yes an Mp3 which would create more possibilities in terms of modular storage and mobility. built in 50 GB memory you can add another 50 GB or more as a modular storage on any one side as an additional block. So effectively you are not limited by the amount of storage and modularity would bring in the playfulness. You can share songs, data by removing one of the blocks and giving it to your friend or close ones to listen or download them. Bloc also helps you to customize the colors according to your liking as they would be available in vibrant colors. Hi Chetan, we just saw your products on mocoloco and so looked up this blog. Are you making these things?? The salt pepper shaker is super! Do keep me posted if you ever make these things. This is clearly a LEGO ripoff so your "design" skills based on this aren't that impressive. 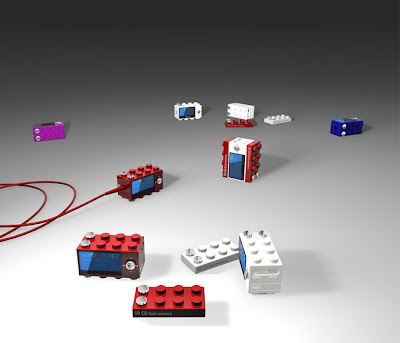 not that this is the same thing.. but its an idea that stems from the playfulness of lego, and how to adapt electronics into it.